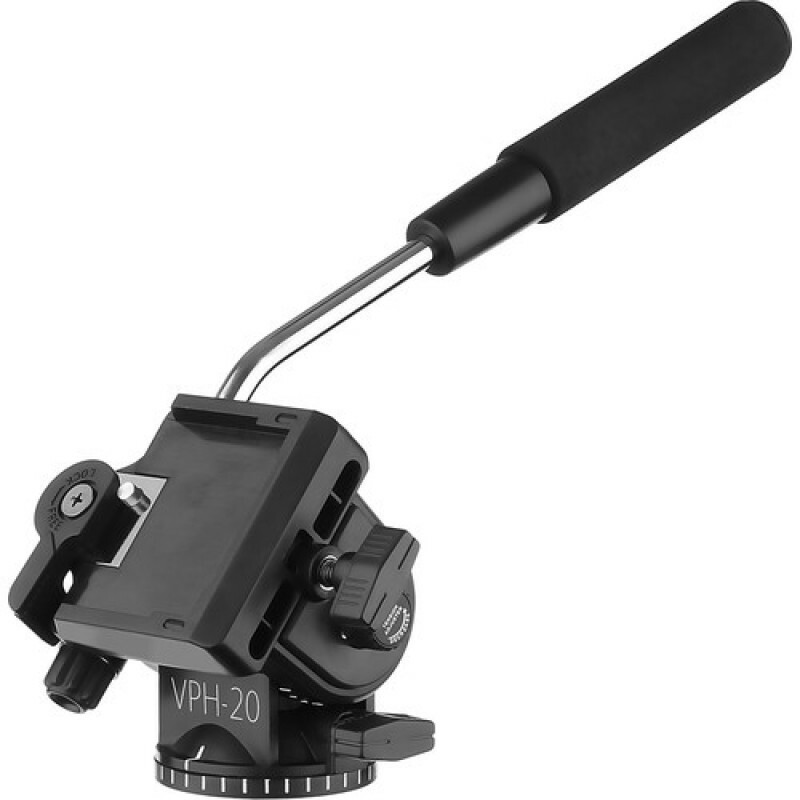 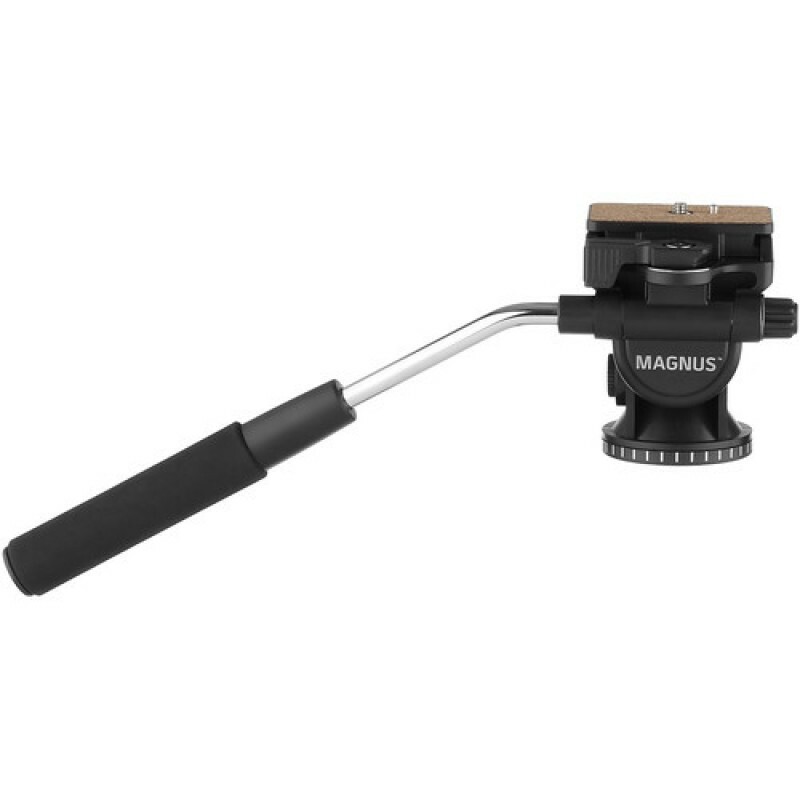 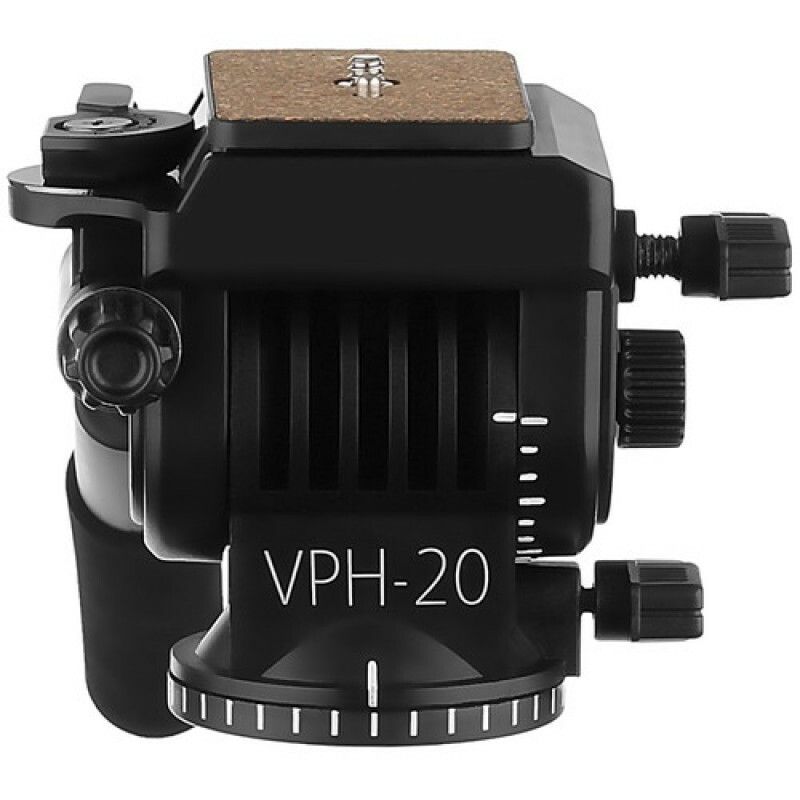 The Magnus VPH-20 Video Pan & Tilt Fluid Head is a fluid cartridge tripod head supporting loads up to 11 lb. 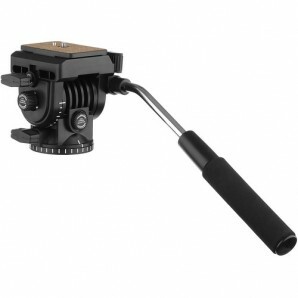 It smoothly pans 360° and tilts 180° and comes with a removable, right-sided pan arm and a quick release plate. 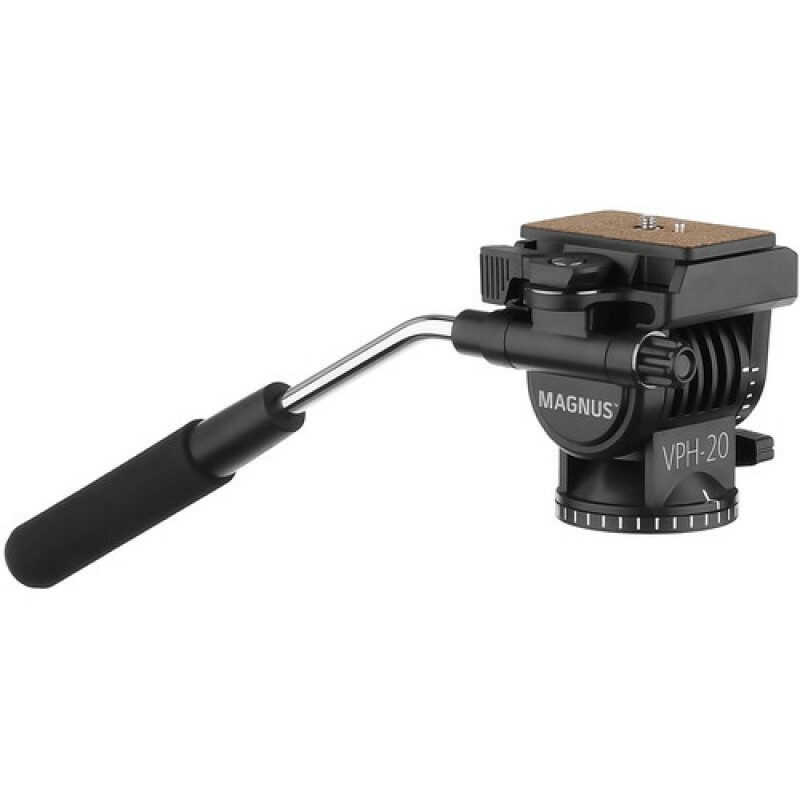 The tripod mount thread on the bottom is 3/8"-16 and can be converted to 1/4"-20 with an included reducing bushing for compatibility with all tripods. 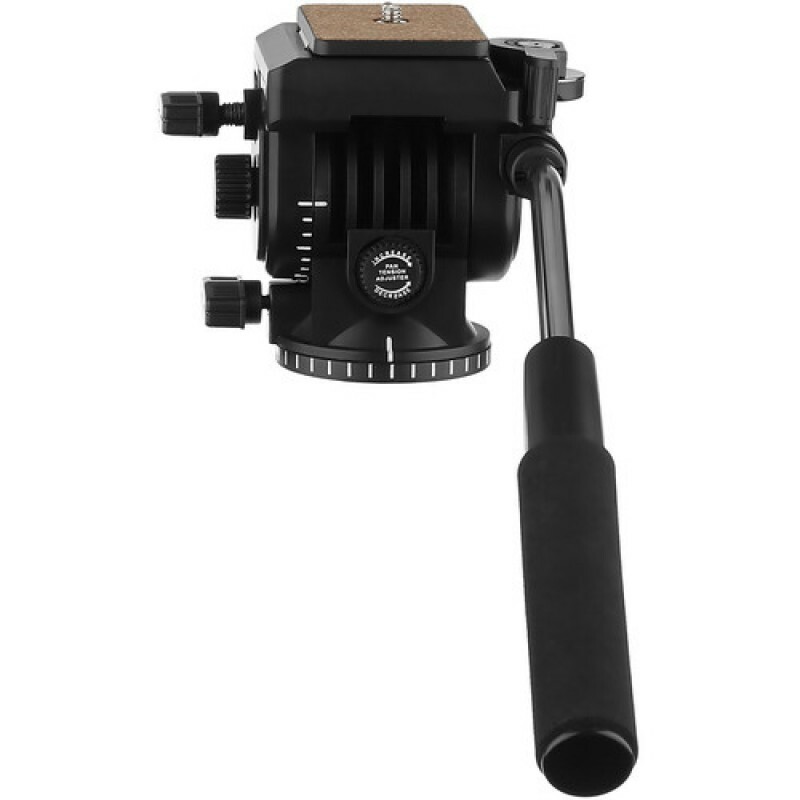 You can also use the head on all camera sliders. 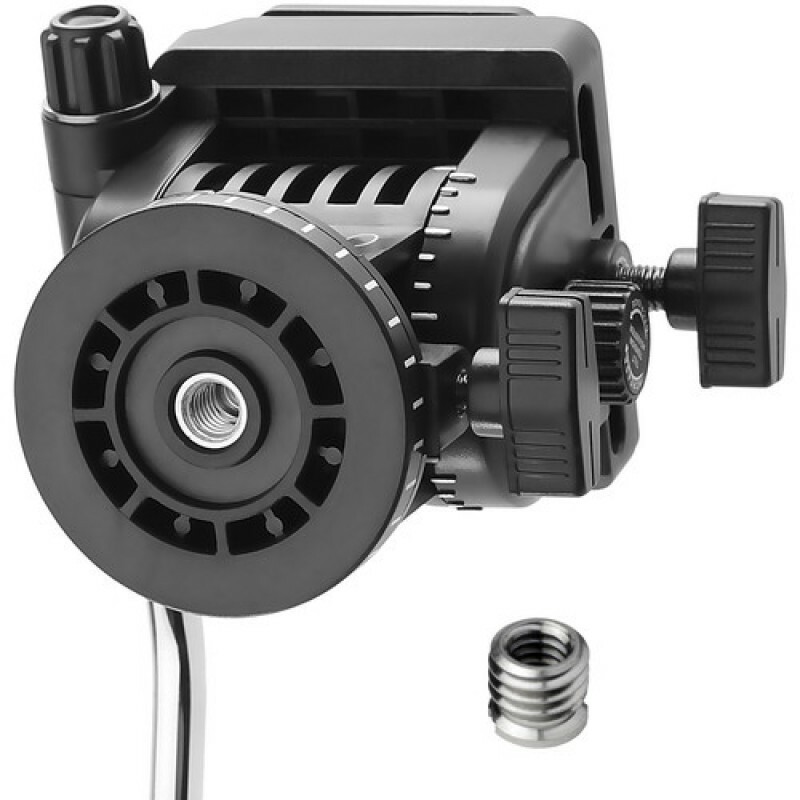 Pan and tilt are independently lockable by separate locking knobs and tension-adjustable by separate tension knobs. 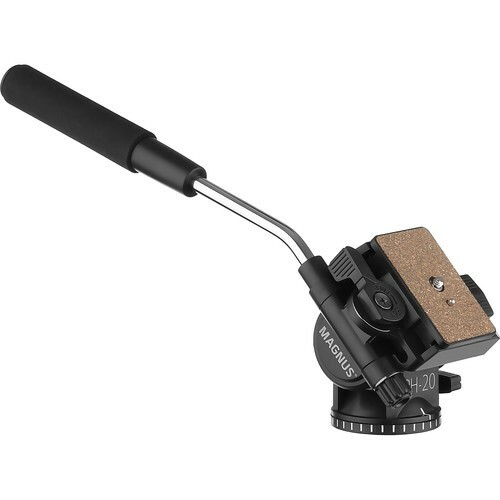 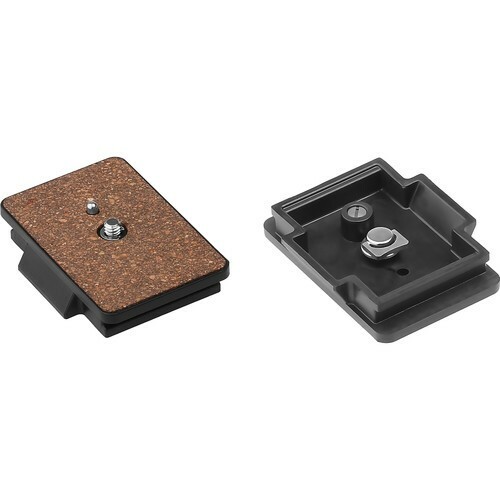 The quick release plate features a cork surface that provides padding for your camera and has a 1/4"-20 threaded mounting stud and a locking pin to prevent your camera from accidentally moving. Box Dimensions (LxWxH) 14.4 x 5.3 x 3.75"